What does the photo resolution in cm mean? | First Base Solutions Inc.
What does the photo resolution in cm mean? Resolution in cm refers to the area on the ground covered by each pixel in the image. 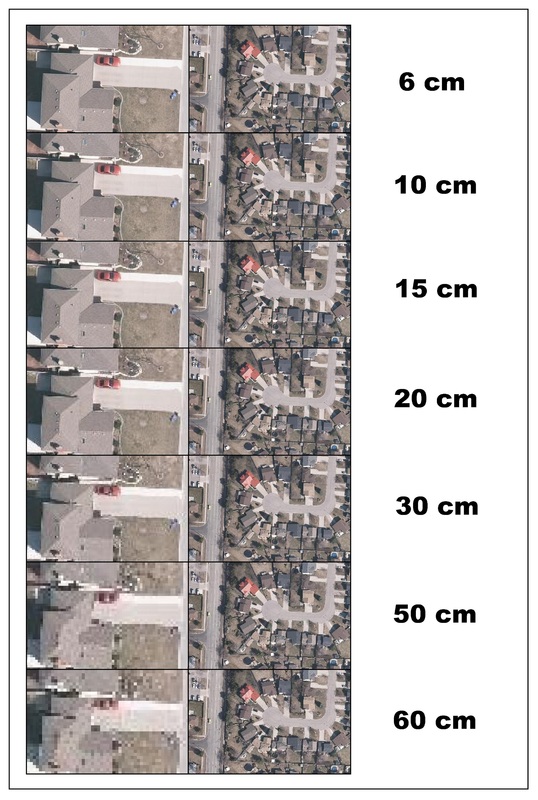 In an image with 15 cm resolution, for example, each pixel covers a patch of ground 15cm x 15cm in size. Objects on the ground which are smaller than that size will not be clearly visible in the image. In general, the smaller the resolution size, the more detail can be seen in the image.